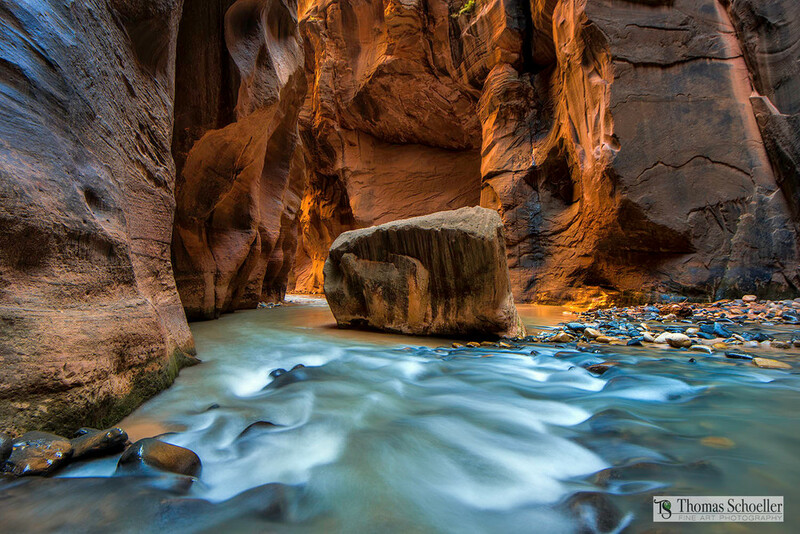 The Narrows of the Virgin River is the granddaddy of all slot canyons. This is just one of the amazing scenes I captured during my Zion adventure. This horizontal version features the immense split rock which had crashed to the floor from the walls of the nearly 1,200' deep chasm! The stunning bounce light within the canyon walls is a feature of this image that will reveal itself with amazing luminance by purchasing it on my Luxe Acrylic Glass mounted print option. The light reflected off the print surface will appear to be back-lit under the proper lighting.